Games Workshop and Rogue Factor studios classic tabletop game, Mordheim, released the second phase of its first video game adaptation on Steam. Mordheim: City of the Damned is a tactical game set in the Warhammer fantasy world where players battle it out in the Empire city. It blends RPG elements with fast-paced tactical combat “where only the strongest survive”. 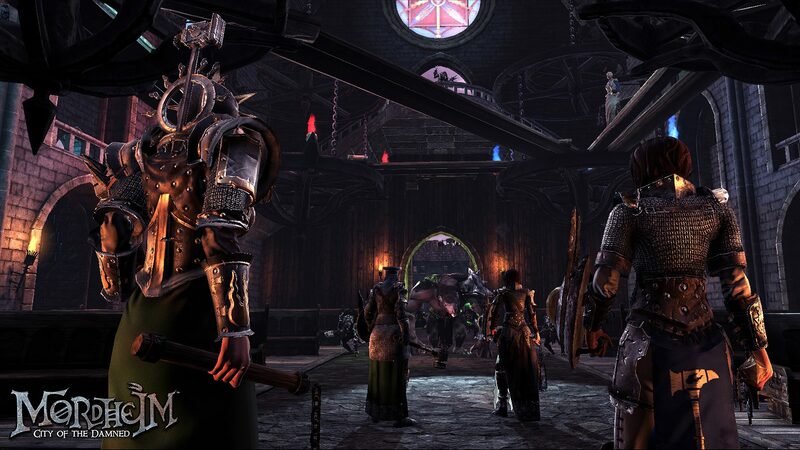 New content was released today and included The Warcamp, The Sisters of Sigmar and armor/weapon customization. Sisters of Sigmar are warbands that seek to cleanse the inner city walls of all evil. Some of their skills include Healing Circle, Comet of Sigmar, an attack that bypasses armor, and Blessing of Speed which increases movement. The sisters are magic and melee based warbands, whose storyline stems from them surviving the comet crash that hit Mordheim, turning it into the battlefield it is today. The Warcamp allows you to head into skirmishes and manage your warband. As the game nears its official launch date, more activities and updates will be available for this hub. Also for armor and weapon customization, you can change your warbands armor with statistical changes. Visual changes will be available later in early access. You can also change weapons with two sets per unit, unlike armor; visual changes for weapons are already included in this update. Though the game is in its second early access phase, it already has a 90% approval rating from Steam players. The game has a lot to offer players from intense missions to its diverse multiplayer modes. You can play Mordheim: City of the Damned now on Steam.